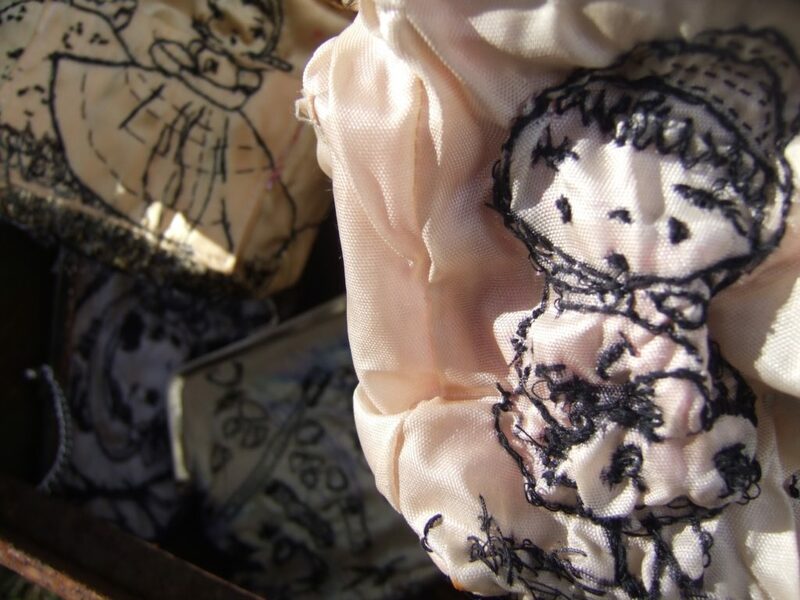 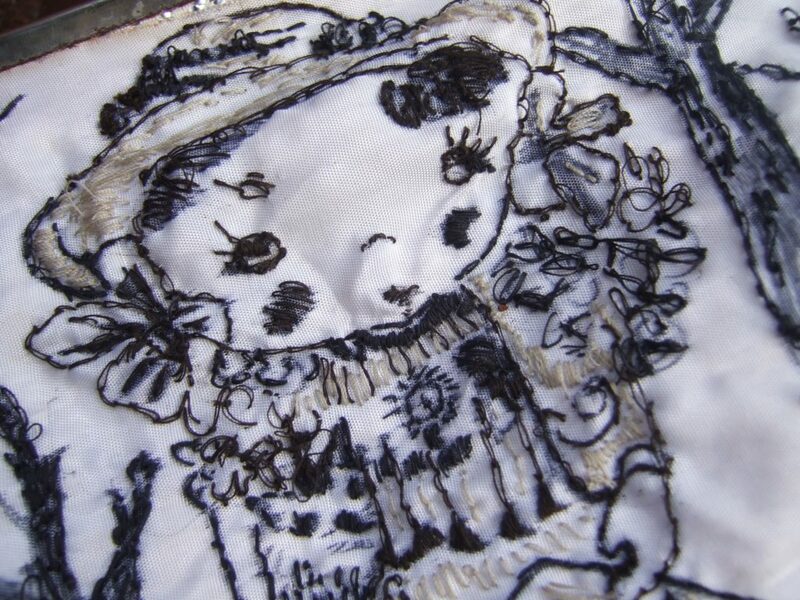 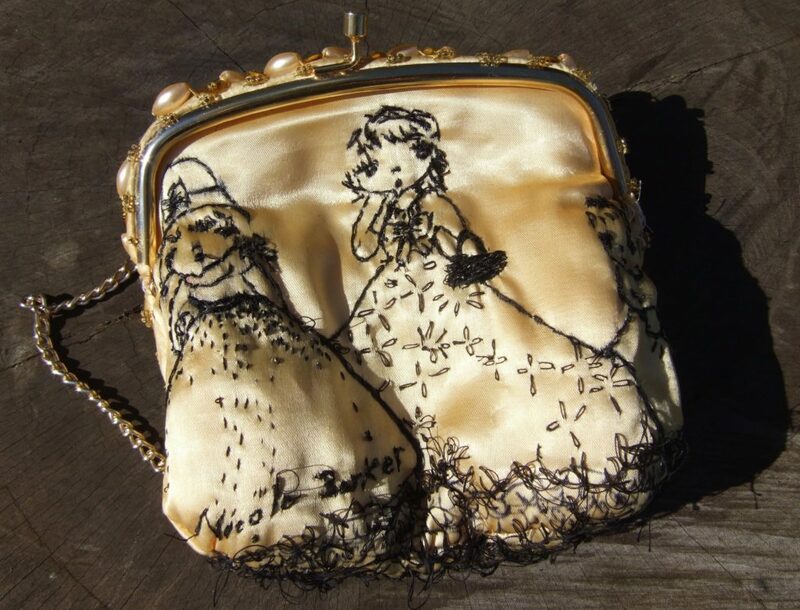 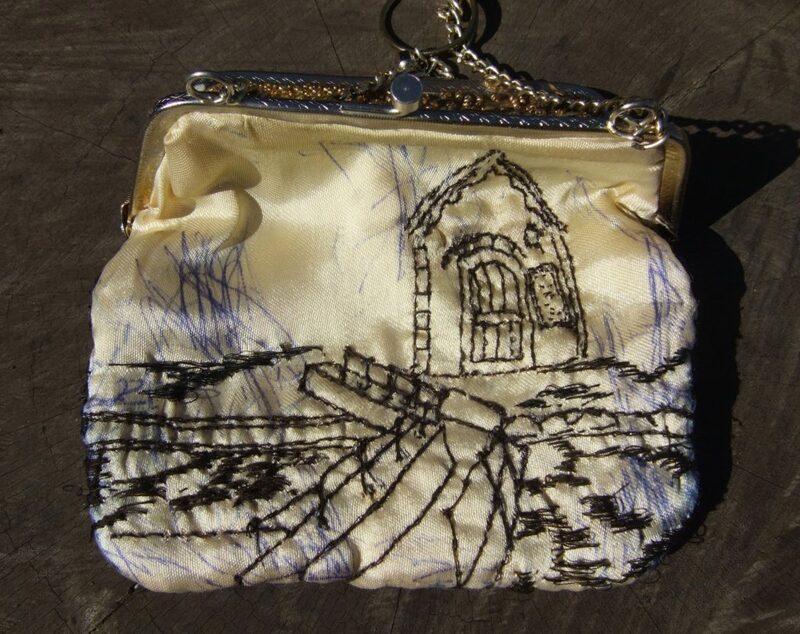 Vintage purses are embroidered with stories and observations from my life at Allington Lock on the River Medway. 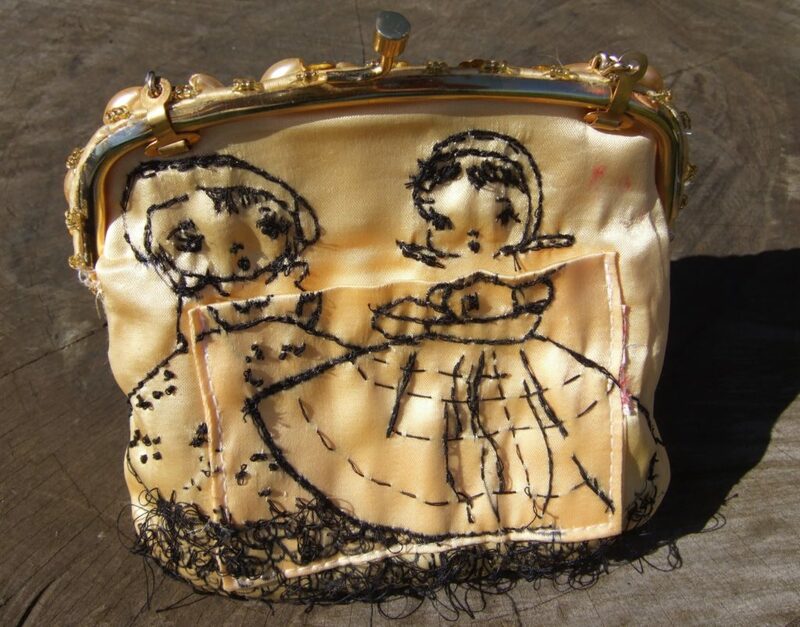 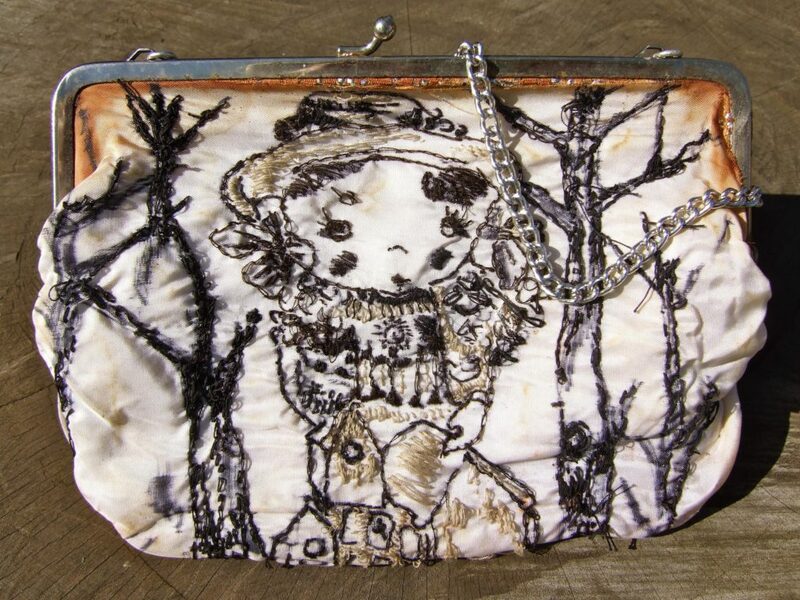 Initially the purses were a response to a shipwrecked handbag exhibited at the Museum of Bags and Purses, Amsterdam. 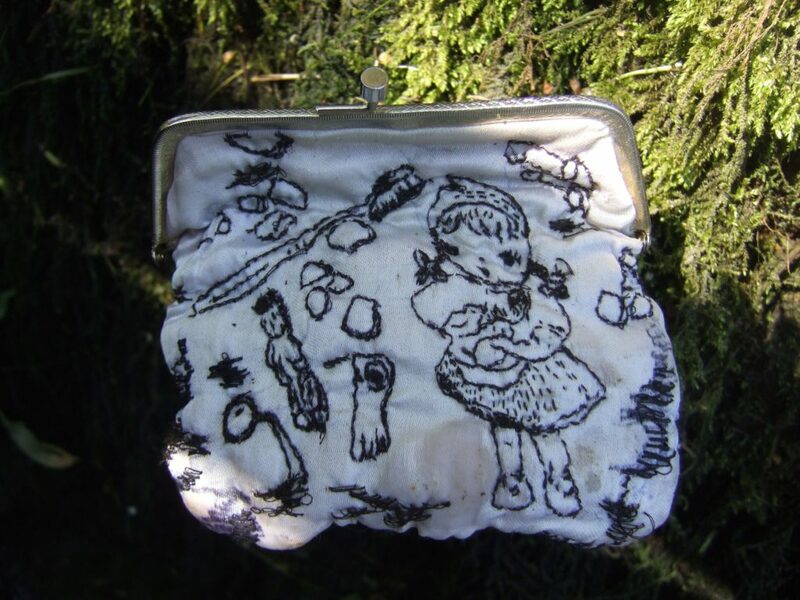 I was intrigued by this salvaged object, so mundane and everyday, linked to the owners identity and carrying with it her story. 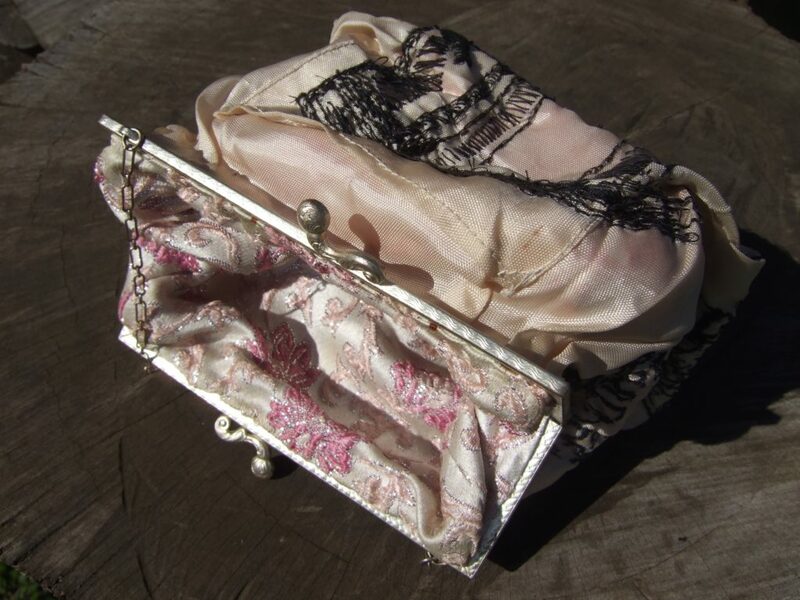 This familiar object of little value and yet worth recovering from a shipwreck. 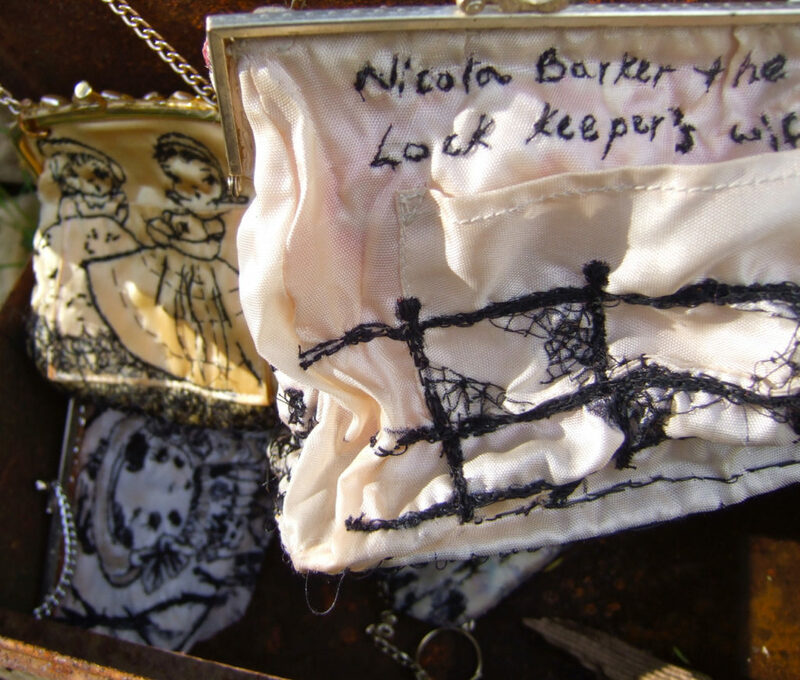 Onto the surface of used and worn purses I stitched my personal stories about the Lock. 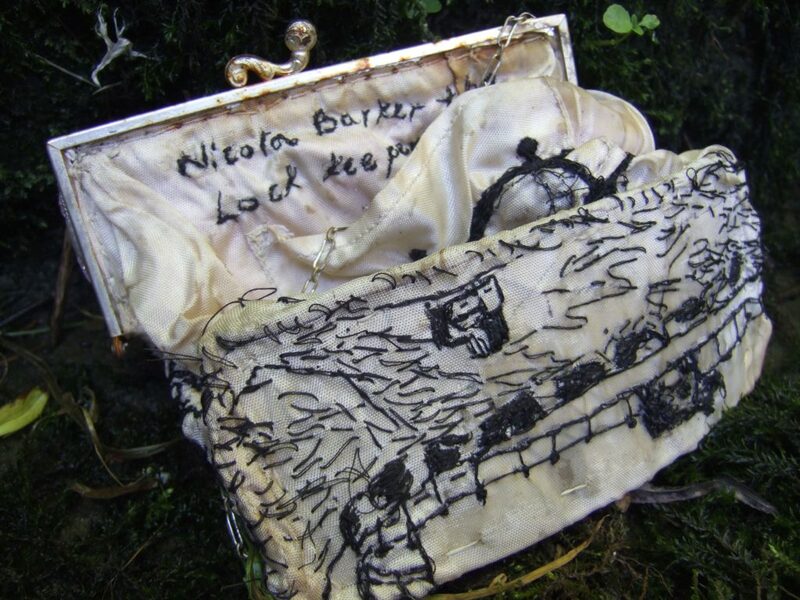 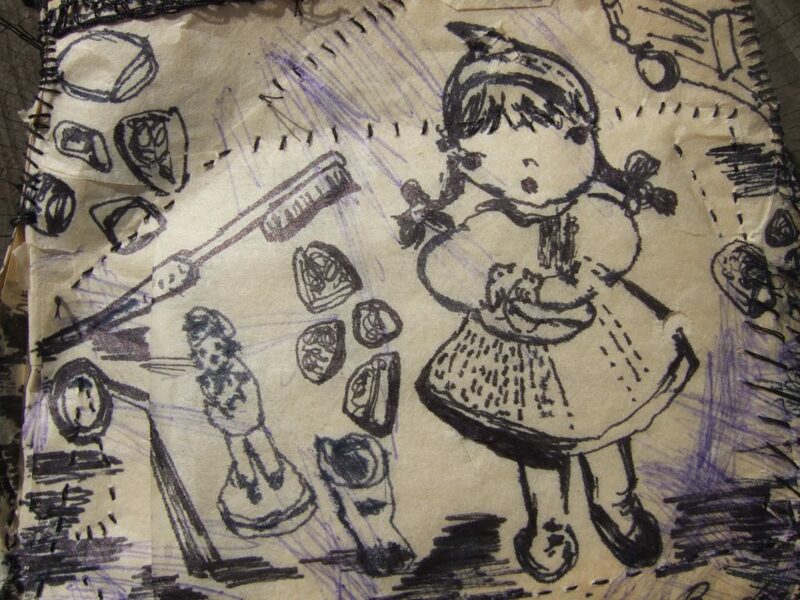 My illustrations depict Lock Wood, railings covered in cobwebs, a cow crossing the Sluice, the Toll Hut in flood and found objects from our cottage garden. 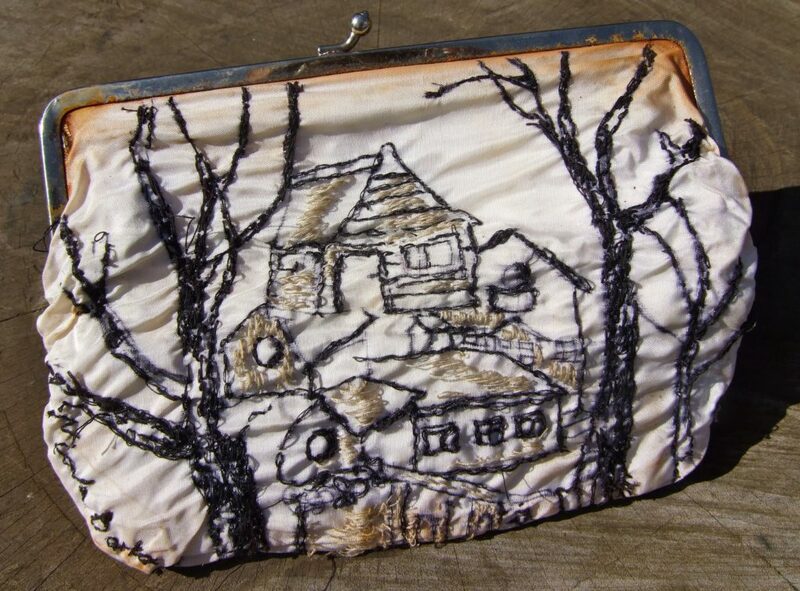 I submerged the embroidered purses on the tidal fringes of the River Medway at Allington Lock, exposing them to the effects of the incoming tides, leaving them to rust and distress.